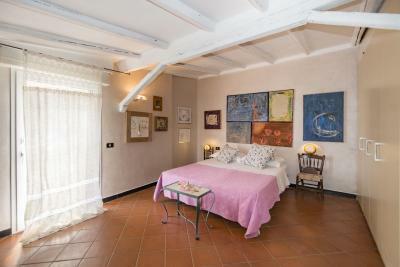 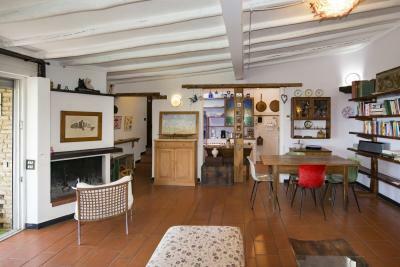 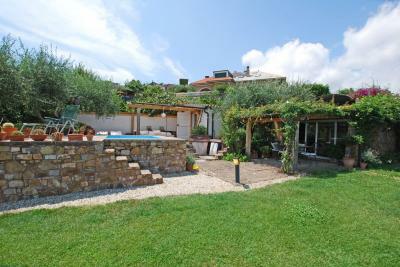 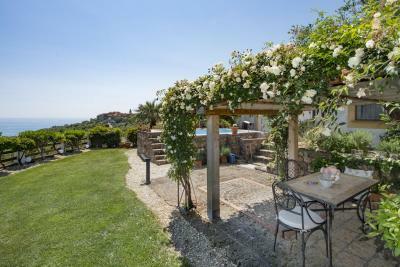 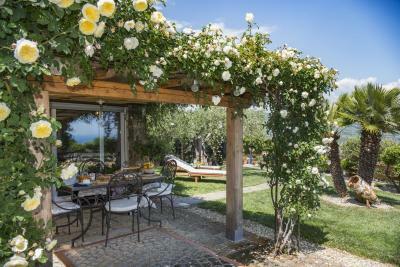 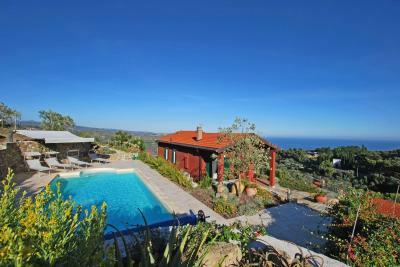 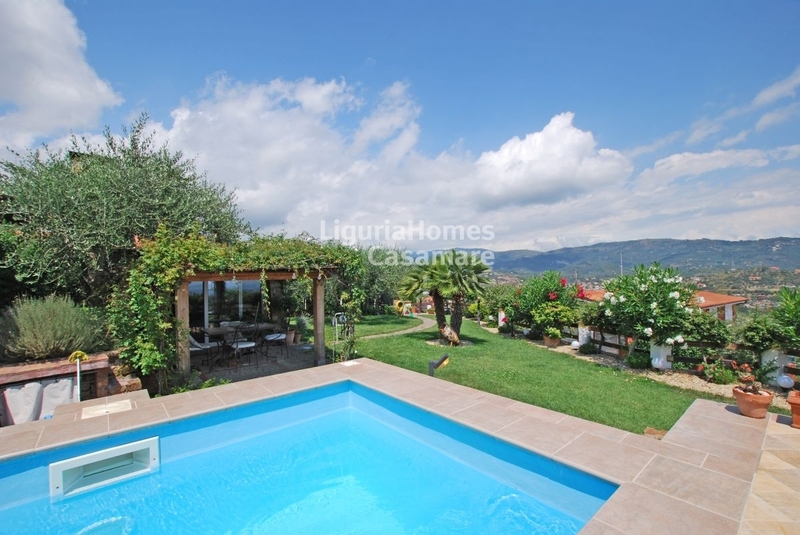 Portion of semi-detached Villa for Sale in Imperia. 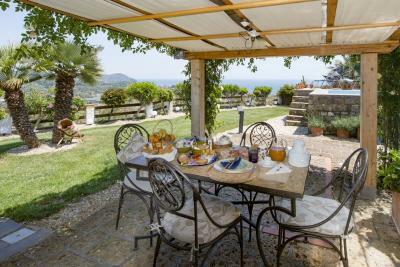 In the first hill of Imperia, portion of a semi-detached house, beautiful property for Sale with tiny pool and lovely sea view. 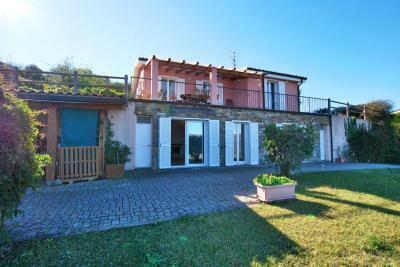 The semi-detached portion of Villa for Sale in Imperia is a suggestive and particular property, it is located in one of the most scenic and sunny areas not far from the sea. Externally you are greeted by a beautiful garden composed of lawned green areas, paved areas destined for relaxation, plants and flowers for a triumph of colors. 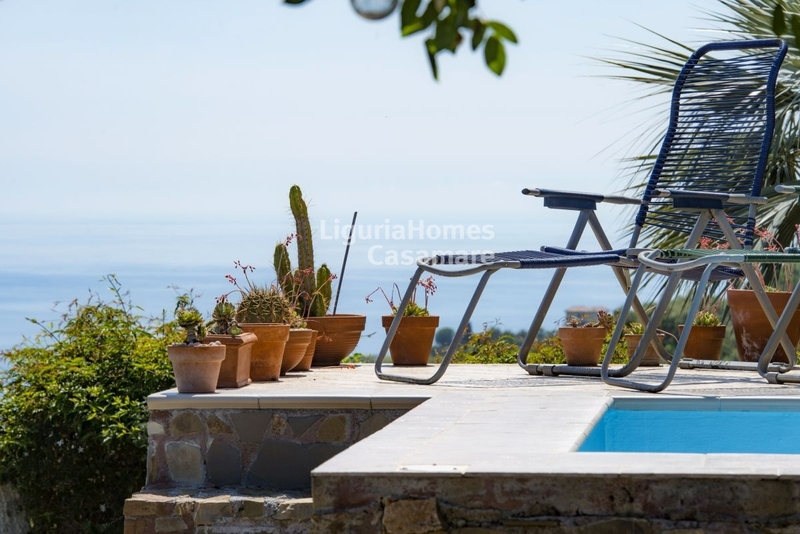 In a raised position the portion of a semi-detached Villa for Sale enjoys a lovely little pool where you can relax with hydromassage and ozone therapy enjoying the landscape of the sea and Imperia in the background. 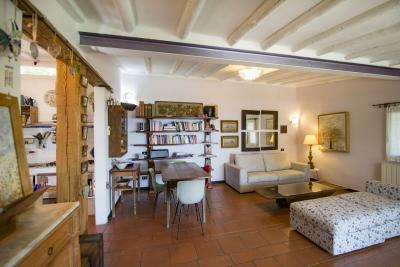 Internally the semi-detached portion for Sale in Imperia has the rustic and authentic taste of this land, a large living room with fireplace welcomes us, an open kitchen is functional but hides discreetly, the large bedroom is comfortable and the bathroom in Provencal style completes this property out of the ordinary. 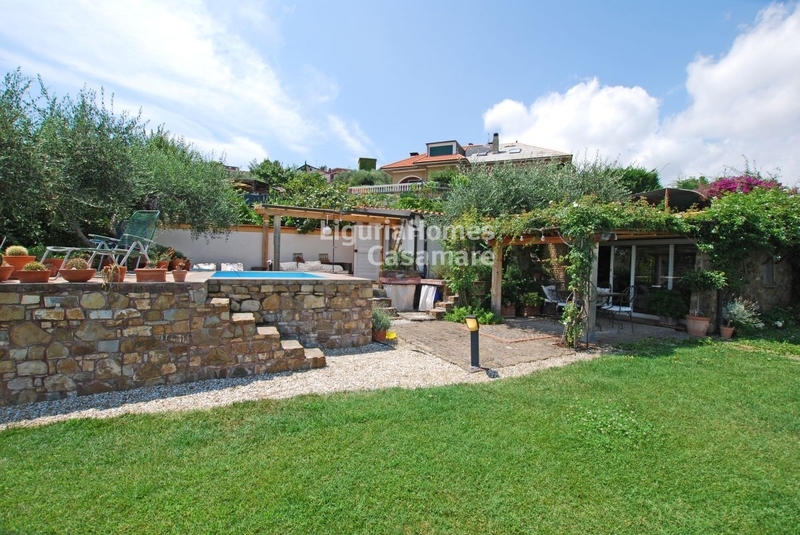 The portion of the semi-detached Villa for Sale in Imperia has a lot of privacy and is perfect for those who want to enjoy a property of character and beautiful outdoor spaces, well maintained and surrounded by the colors of its trees and its magnificent flowers.